Before getting these two camouflage cream palettes I was facinated by their coverage power... So I wanted to try them out and I got a lighter and a darker toned one, Make Up For Ever Camouflage Cream Palettes in No.2 - Asian Complexions and No.4 - Dark Complexions, so that any mixing of color between them can be done. Because the palette comes with 5 different shades, it's very handy to combine them till it matches the perfect shade for you. They are super dense and have a great coverage power, I usually use them to cover blemishes, scars, dark under eye circles, skin discoloration, tatoos, highlighting and contouring. Due to their texture, they might seem heavy and very dry at first and for the under eye skin it's better not to use the cream by itsself, because it will definately crease in the fine lines and it will look cakey. TIP: If your skin it's very dry, make sure you hydrate it enough before applying these camouflage creams. TIP: For a lighter application use less product or mix a small amount of camouflage cream with a moisturiser and apply all over the face. 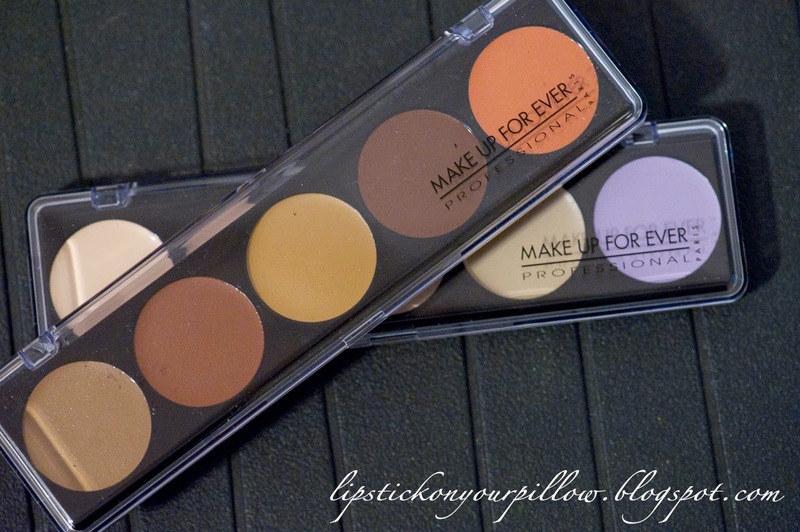 These palettes are super versatile, that's why I will definately repurchase them. "Thanks to their dense texture, the Camouflage Cream Palettes allow any type of correction. Highly concentrated in pigments, they are perfect for covering dark spots and other skin blemishes and unifying the complexion, even when wearing light makeup. The natural shades are especially effective to hide dark circles or puffy eyes, pigment stains and scars. 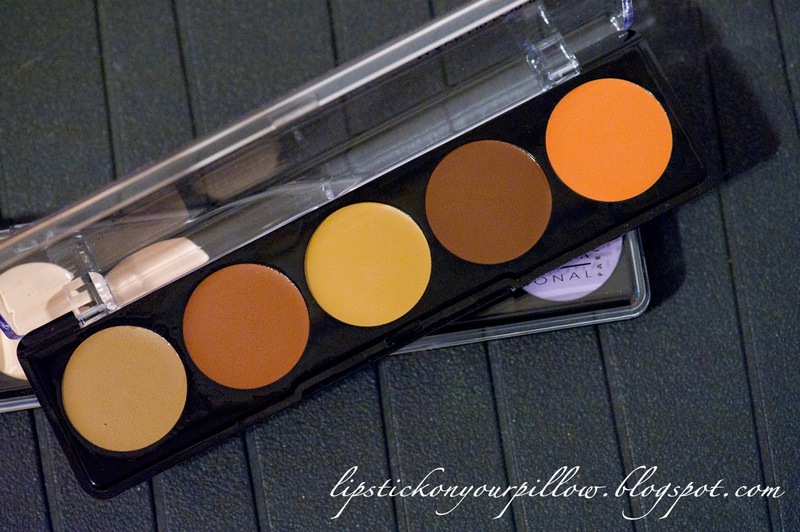 The corrective shades conceal hyper-pigmented areas. 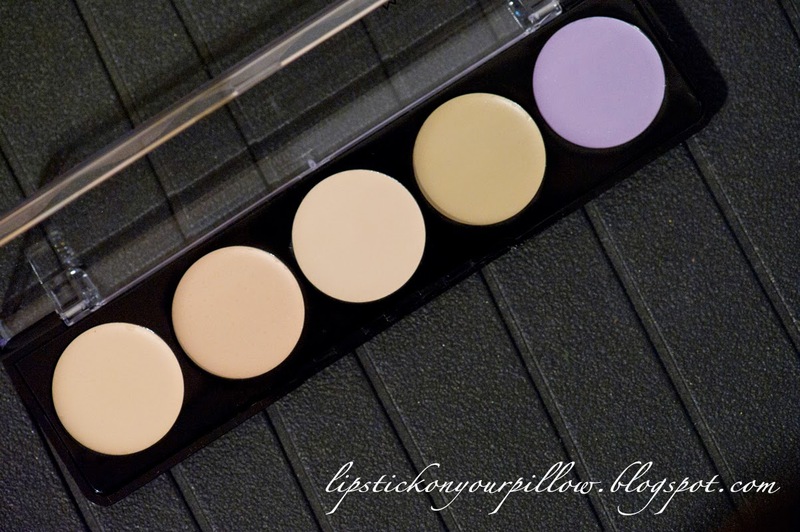 The 5 Camouflage Cream Palettes have been designed to suit all skin types." "The ultimate professional makeup tool. Skintones are perfect for dark circles and uneven skintone. Though it provides complete coverage, the texture is light, easy to blend, and won't irritate even the most sensitive skin." Dany's Tip: "Camouflage Creams last longer when applied directly onto the skin before foundation, and blended with fingertips."